55" square print scarf with lime and blue paisley center and tie dyed border. Very soft drape and interplay of border with center design. 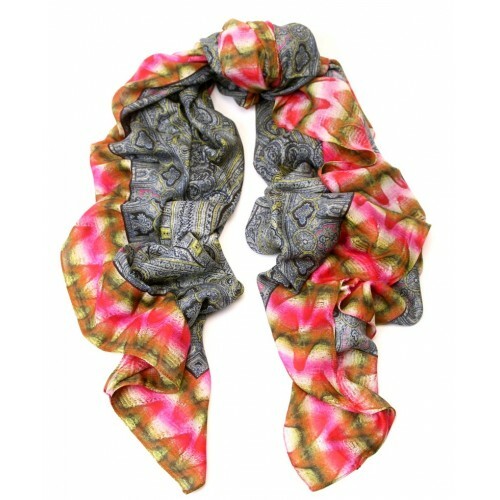 This Scialle scarf is very versatile, and can be worn in many ways. The secret is in the very soft and lightweight Italian fabric. 90 micromodal, 10 cashmere. Made in Italy.